This is the arrangement to choose when your devotion is deeper than the ocean. This lavish arrangement of Roses, Alstroemeria, Scabiosa, Italian Ruscus and premium greens is designed in a full, sweeping design and comes delivered in a beautiful glass vase. 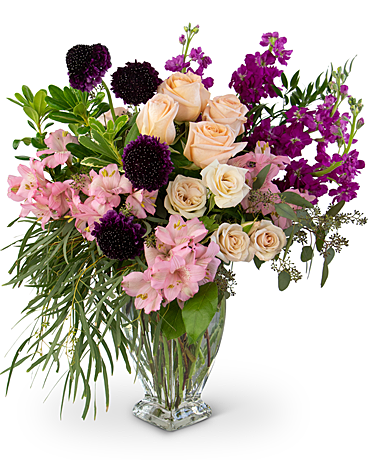 The Hopelessly Devoted to You arrangement will add a touch of elegance and grace to any space.